Tahini and hummus put me in a food processor-loving mood. 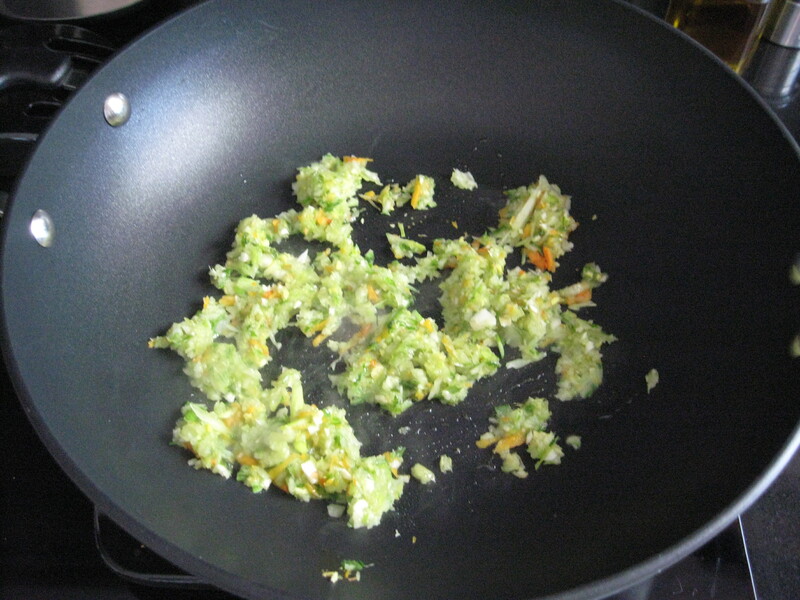 Did you know that Mark Bittman had written an ode to the food processor? The man is prolific, so I’m not surprised that I missed it. 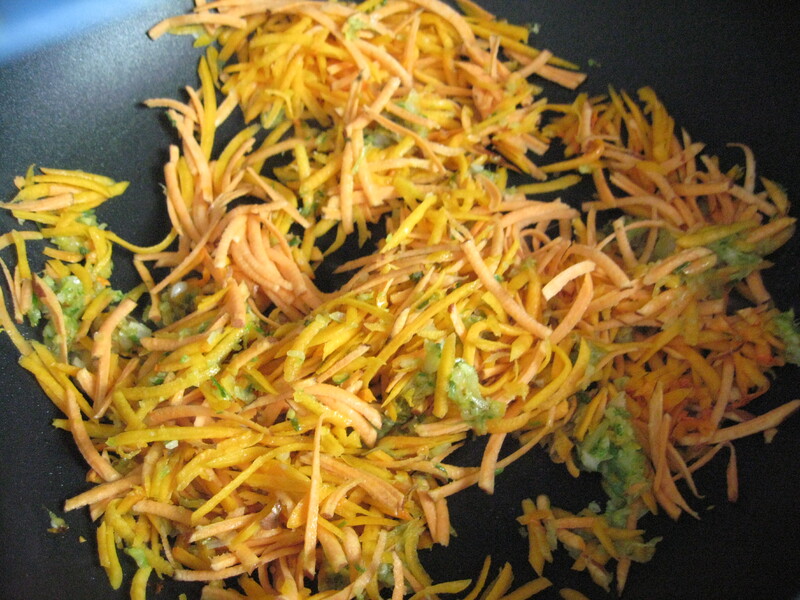 Accompanying his ode was this jewel of a recipe for sweet potato stir-fry. 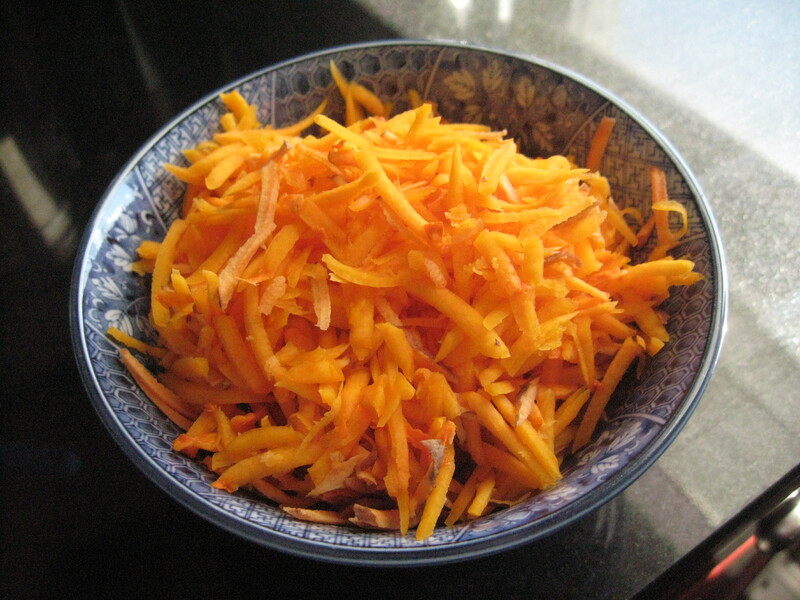 I modified it a bit to end up with an “orange” stir-fry that is more butternut squash than sweet potato, consists of shreds instead of chunks, omits a few ingredients (e.g., no soy sauce), and requires fewer steps. I cannot recommend it highly enough. 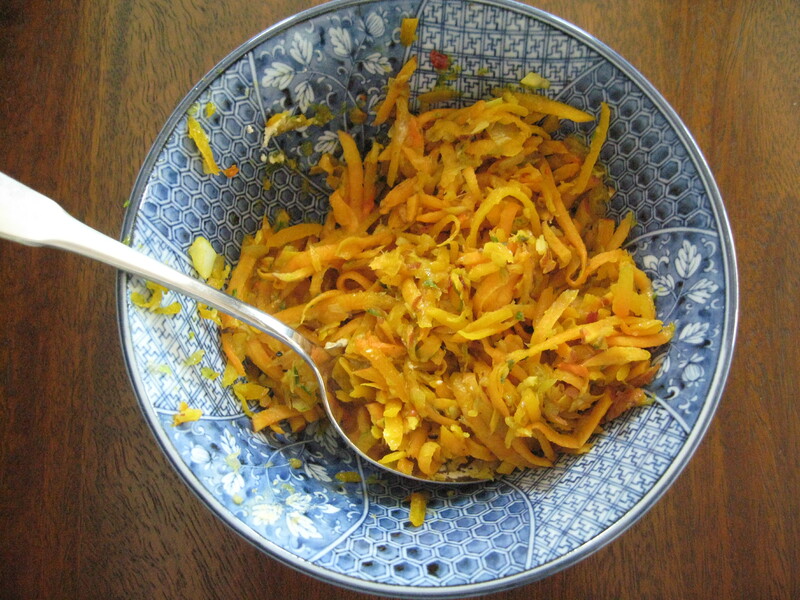 The result is a delicious dish that is both sweet, spicy, and extremely light. I know it doesn’t look like much, but I promise that it is. Saving some to put in tomorrow’s lunchbox required serious restraint. Oh, wow! I love the look of this recipe, and it looks one of those good ones that I don’t have to hit the market to cook. Looks delicious! Leftover shredded sweet potato and butternut squash also made a surprisingly good pizza topping! We put it on top of some spinach, sun-dried tomatoes, and pecorino. The shreddings carmelized a bit, which was fantastic.